¹ A superb writing resource, funny and blunt, beautiful. 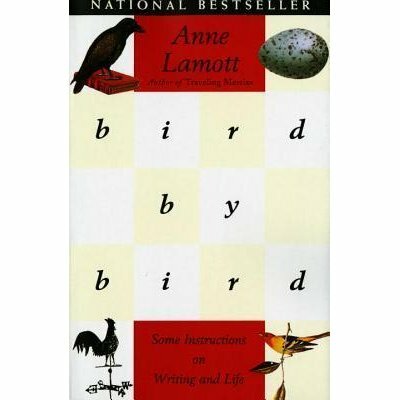 Anne Lamott is really good. I went full analog, printing your many suggestions out and taping them into my J, and I’ve done about five of ’em. I proved your point (which for decades was mine, as scribbling coach): we/I can write about anything. Not that I didn’t know this, but it seems that this is a bit of creative magic that we (at least, I) need to be shown, to show ourselves, over and over again. I was recently startled, and then oddly consoled, and finally completely unsurprised (“well, yeah, of course“), to read Atwood tweeting about a return to her “writing burrow”. There, cut off from Twitter and everything else, she — even SHE — would face the screaming blank-screen demons again. After 40 books! So I know I’m not going to get this scribbling thing Figured Out, ever, except by day-by-day-ing away as if I had a plan, and some tangible goals, and as if my inner life depended on it. (I think, to a large extent, it does.) As Pressfield would say, Resistance never sleeps. But as Saint Margaret has said, A word after a word after a word is power. You helped me find a little of mine. I’ve done 4 or 5 of your prompts, and they had one main benefit for me, other than the proof in the putting (of words on paper) that I mentioned above. I got briefly carried away by microscopic, fairly ludicrous but certifiable stories of my own. The bulk of my writing has always been non-fiction. (This here site has maybe one short story and a couple of poems on it. The other 700+ posts are reviews, opinionations, and musings.) I’m afraid of fiction. I’ve gone through lots of layers. With every step forward, I answer my wife’s pointed and repeated query — So are you a Real Writer NOW? — with a squirming Okay, sorta, but… But fiction is another frontier. As silly as most of my responses have been, your story-prompts have allowed some tiny but real storytelling thrills. I got carried away. I’m going to finish my still-born non-fiction book this year, but I also will go jump in the story lake. IwillIwillIwill. Short story long, writing to your prompts gave me some fun, inspiring little sips at the Sea of Stories. (Surely, you have read Rushdie’s Haroun and the Sea of Stories? Marvellous.) So yes, thanks coach!